This year has seen significant changes to the iPad. Changes have either explicitly relevant to education users, or favourable by virtue of the way developments to both hardware and software suit the various use cases for students, teachers, and researchers alike. As the impending release of iOS 11 is about to address a number of long-standing usability issues, the iPad is becoming a serious choice for getting your college work done. 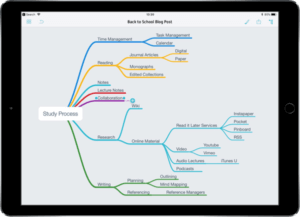 Regardless of how far along the academic path you are — student, researcher, lecturer, or any university professional — both the iPhone and iPad can be serious tools for getting things done. The Tappademic section of this site aims to help you do just that. To the question of whether or not you can now use the iPad as your primary device for your college or university work, the answer is a resounding of course you can. In fact, in a lot of ways the interaction model and user experience of working on an iPad is not only a good choice for some people, but the best choice. For one, although there has been a quiet evolution of multitasking on iOS, the iPad remains a uniquely focused device for singular tasks. The Appademic maintains a regularly updated list of prefered iOS apps for research and study that tale advantage of the unique strengths of both the iPad and the iPhone, the article can be found at the link below.